I know I know it's been forever since I last posted. The move was a lot more frustrating than it should have been. We still do not have internet so this post is coming to you via cell phone. For that apologize I do t have any fun graphics to go with this post. It is Thursday though so that means it's time for my Thrifty Thursday post! I have like many of my fellow peers been faced with the great joy of student loan debt. With a massive amount of debt I have to be pretty careful with my budget. Awhile back I was fortunate to be talking with one of my co-workers who mentioned she had taken a Dave Ramsey seminar and it had really helped her and her fiancé get there finances in order. I decided to do a little research and was able to get some great tips from her and ... Pinterest. For me I knew I could not afford to take one of the seminars (it wasn't in the budget) so I started sprinkling in a few of the great concepts. With that said let me introduce you to the Envelope System! This one change has had a considerable difference for my stress level when it comes to money. First step figure out what you can pay for with cash. For me my categories are groceries, gas, dinning out and entertainment. For each of the envelopes you need to determine what your weekly, bi-weekly, or monthly budget is. I receive a paycheck every two weeks so I work off of a bi-weekly plan. I do the majority of my shopping at Sprouts and from this I have determined that for two people $70 a week is a reasonable amount. Some weeks I do go over but it usually means that I don't have to buy as much the next week. If you do the math that means that the Grocery Envelope has $140 for every two weeks. The gas envelope has enough in it for two weeks of driving back and forth to work, with a few stops in between. The other two envelopes are luxuries that I could personally do with out but to keep the fiancé happy I budget money for a meal out every two weeks. We are breakfast people so it usually means going out to breakfast on Sunday's. The entertainment envelope is used for our date days, going to the movies or a round of mini golf, nothing to crazy. For the summer months I don't work a full forty hours so I usually don't have anything left over after bills and my envelopes, but when I do work normal hours anything left over goes straight into savings. Using cash to pay for everyday items makes you more aware of where those funds are going. It is hard to part with cash than just swap your card. 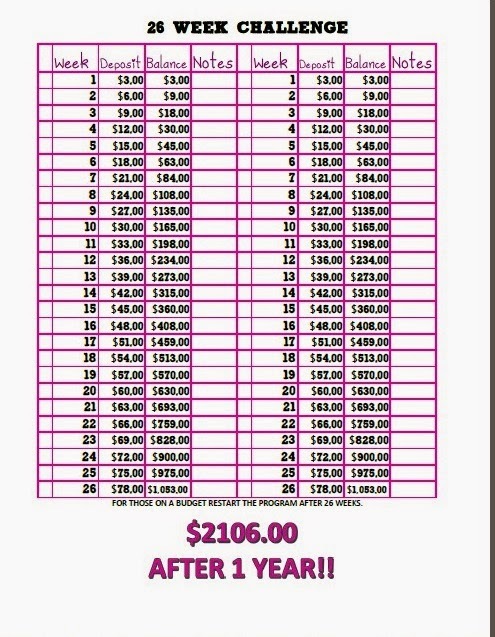 Try it out for a month and see how much you can save!